The Ewa-Marine D-LIM housing is manufactured from double laminated PVC and has an integrated, optically neutral flat glass port. It has a pair of non-corrosive, seawater resistant clamping rails that fit together to form the seal and are secured in place by means of two screw knobs. Rated to a depth of 33' (10 m). 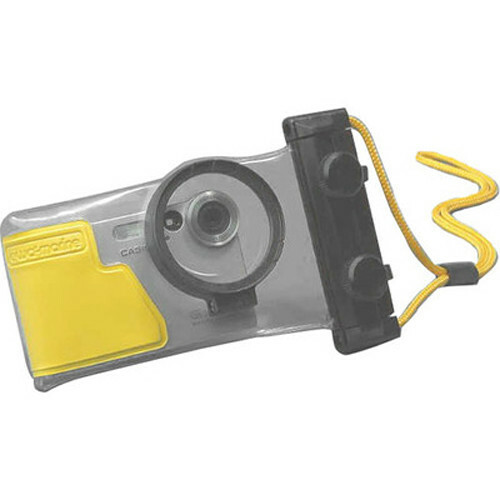 This housing is designed for the Casio Exilim S1, S2, M1, and M2 digital cameras. It will also fit cameras that are smaller than 4.9 x 2.75 x 0.6" (125 x 70 x 15mm) (WxHxD).